This has been a year of intense fire for me, as it has been for several of my friends, students and colleagues. When the tapas burn so hot that I think I may burn up along with all the impurities, challenges and sufferings that tapas escorts away, how do we stay open, clear, and really take refuge in change rather than fight or wallow? Danna Faulds brilliant poems on just these subjects give me courage and solace; perhaps her words will help you in your struggles. What gets you through the challenging times? The choice to fight what is here before you now will only result in struggle, fear, and desperate attempts to flee from the very energy you long for. Let go. We were all there to learn from this eminent, humble teacher and all of us in my little group were also involved with education: yoga teachers, meditation teachers, teacher trainers, authors, an elementary school teacher, mentors, one completing her dissertation for her PhD…all of us advancing, developing, sharing, improving ours and other lives through education at all stages of life…but there is more, so much more to do. I reflected on this wonder of education, how it shapes a life, how so many do not have access to education— basic elementary education, academic opportunities, life skills, and more. We savvy sages are called upon to educate the next generation as part of our seva. Whether you are drawn to help educate youth, young yoga teachers, entrepreneurs, empower girls through education, reduce poverty through education, there are no shortage of opportunities for all of us to make a difference. No action is too small—maybe it’s volunteering to tutor, mentor a young person, write a book, article or op ed piece, perhaps it’s writing a big check to a worthy organization… We can all make a difference—one small action has that amazing ripple out effect. There are so many ways to help improve access to education, so many good organizations to support that do this work. It immeasurably buoys my spirit to check in with some of the non-profits I do pro-bono and contract work for, fund raise for, or just generally champion – all education based, all working hard and effectively to make positive change. I am particularly committed to empowering young people’s access to education, educating to change global behavior around conservation, and of course championing the tools of yoga to bring substantive life changes for people in crisis! What areas are you passionate about? Seeds of Learning www.seedsoflearning.org builds schools in poor communities in Central America. Volunteer groups of North American youth and adults travel to the works sites and work hard alongside community members to physically construct the schools. The benefit received is just as keen on the volunteer’s side as for the local people. The young people from the states we send down to these poor communities have a lesson of a lifetime in empathy, compassion, and cultural awareness and come back forever changed. I have been on the advisory board of this organization for 7 years and am always enthused by Seeds’ charismatic Executive Director, Annie Bacon. Seeds runs on a very tight budget with most all monies raised going directly to programs. Check them out; maybe you’ll be inspired to join a work group building schools in Nicaragua. I’m going this summer again…. Wild Aid www.wildaid.org seeks change on a global scale educating consumers to change buying behavior of animal products to save endangered species. Through international celebrity spokespeople and top flight media campaigns they are fundamentally changing the conversation on conservation to focus on changing the demand for products rather trying to safeguard individual animals. WildAid is the only organization focused on reducing the demand for these products, with the strong and simple message: when the buying stops, the killing can too. WOW! Room to Read. www.roomtoread.org. What’s not to love about this amazing non-profit creating life changing educational initiatives around the globe from their San Francisco HQ? They raise scads of money and spend it to educate kids – improving literacy and working towards gender equality. They have special initiatives to educate girls in developing countries as they know that education is the single most important means of empowering girls with the knowledge, skills and self-confidence necessary to participate fully in the development process. Educating girls = improvement in family health, reduction of birth rates, and reduction of poverty. Headstand www.headstand.org is an innovative non-profit organization that works to combat toxic stress in disadvantaged K–12 students through mindfulness, yoga, and character education. As a public school teacher, Headstand founder Katherine Priore, started practicing yoga as a way to relieve her own work-related stress and knew that yoga and mindfulness could help her young students. Her ideas took form in Headstand and she has grown this innovative nonprofit to a multi-school program that reaches more than 1200 students in inner-city schools in three cities. Headstand offers K–12 school programming, teacher training, and consulting on how to integrate social and emotional wellness strategies through mindfulness and yoga in school. To hear the students tell their stories of fundamental life changing experiences that would not have been possible without this program is truly inspiring. The Art of Yoga. www.theartofyogaproject.org I have been an Ambassador for this Bay Area non-profit for 4 years, offering yoga events as fundraisers, and am always in awe of Mary Lynn Fitton and what she and her team do. The Art of Yoga Project focuses on early intervention to help at-risk and sexually exploited girls prepare for a positive future. AYP is revolutionizing the rehabilitation of girls by offering trauma-informed, strength-based, gender-responsive services. They are committed to leading teenage girls in the California juvenile justice system toward accountability to self, others, and community by providing practical tools to affect behavioral change. Created by nurse practitioner and yoga instructor Mary Lynn Fitton, the organization sends specially trained yoga teachers and art therapists into juvenile detention centers and rehabilitation facilities to teach a proprietary intervention program. They directly serve approximately 500 girls annually in northern California and they re mission driven to expand nationally! Go AYP!!! As I enjoyed my habit of coffee house cappuccino imbibing, I caught snippets of conversations from other people’s lives, stories that involve doubt, sadness, joy, betrayal, disappointment, worry and realized again that we are fragile, we are human, we are all connected…we all have similar stories, experience similar difficulties. And, as we get older, we have more stories! “The first noble truth of the Buddha is that when we feel suffering, it doesn’t mean that something is wrong….Suffering is part of life, and we don’t have to feel it’s happening because we personally made the wrong move.” Thank you, Pema Chodron—what a relief. Not that there is no sense of personal responsibility in life’s events, but it is a little freeing to keep in mind that we cannot control everything that happens to u and are not personally responsible for all that happens. Thankfully in times of trouble we all have angels…as I wade through my own big life changes this year I need those angels; I am immeasurably grateful for those angels. Angels in the form of a girlfriend only a text message away, generous family members, a stranger who tosses out a random compliment that lifts my spirits, a friend who recommends me for a project, a strategic invitation to just the right event, keys arriving in the mail to my dear friend’s beach house to use “whenever I like,” the delicious time to enjoy an unhurried lunch with a woman I have been friends with since age 7. Connection, kindness, being where you are and loving who you’re with for the time they’re with you…People (angels) come through for us when we are in need, sometimes without even knowing the effect they are having. Our angels help us transform, to understand more, to embrace our higher selves and, when we lose our way our angels help us right ourselves. Thank you angels of all stripes, sizes and species everywhere. 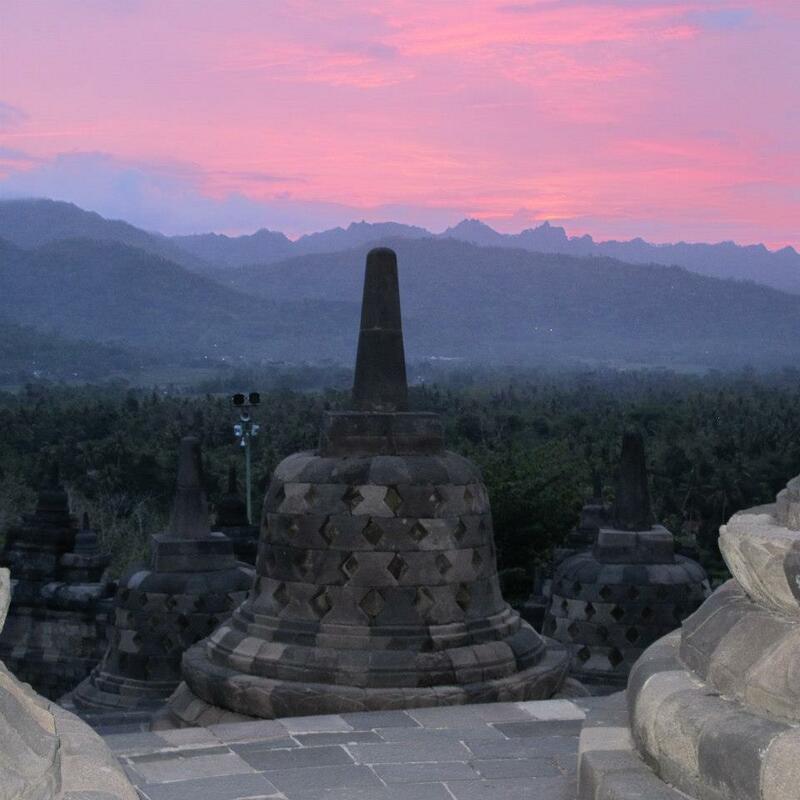 The sunset from Borobudur in Java, November 2012. Not possible to feel anything but grateful to be alive and experience such majesty. Last night can only be called magical. Tomales Bay was still, calm and warm (a once a decade occurrence) with the water like glass. I chose to go kayaking last night just by pure chance and so fortunate to have done so. I am consciously choosing to do activities that I have never done before but have always wanted to try, have neglected, or are out of my usual comfort zone–maybe even just a little scary. This is my yoga off the mat, taking the qualities to practice the challenging asana, bakasana, pincha mayurasana, drop back in urdvha danurasana off my mat– to practice courage and poise, trust, faith, and bravery in the larger world. Kayaking at night as a novice kayaker with a group of people I did not know qualified on all counts! We can never know if the timing is right, the day right, we just have to take the leap. What magic! In the twilight, I saw rays and leopard sharks — two swam close enough that I could have touched their fins. 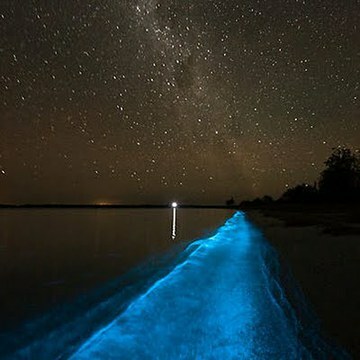 As deep darkness descended, the stars appeared, and the cormorants settled onto their tree perches of Hog Island with their other-wordly warblings, the thrill of sweeping my hand in the water as we glided through bioluminescent creatures lighting up was amazing. Exchanging my daily urban life for this unique moment in time in the natural world was deeply, even soulfully transcendent and rejuvenating. Go do that which challenges you, intrigues you, even scares you a little bit. We never know when that bit of transcendence will occur but we can cultivate practices and experiences to open to the possibility! With inside knowledge, I know that when they received the call from a friend of ours who is the entertainment business, my folks did not know who Bonnie Raitt was, had never watched a music video and did not have a clear idea of what this “gig” would entail; they did not know what to expect. But, they said yes. I love that state of being open to possibility for new experiences, a bit of adventure at any age…..Go Mom and Dad. 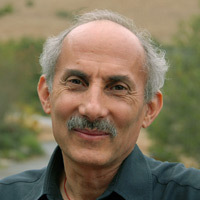 Imagine doing and teaching yoga for over 70 years and still being vital strong and gracious….. Check out this lovely interview with her. Teaching my weekly Tuesday class, I was reminded of the sweetness of yoga at any age. Barbara, 82, who never misses a class, was next to my new student Hallie, 22—learning, exploring, enjoying the benefits of practice. Age in many ways is truly just a number for yogis – how fortunate we are to have an embodied practice that helps us remain healthy and agile as we age. Practicing for over twenty years and teaching for eighteen, yoga brings ever-deepening joy, skill and knowledge to my practice. Yoga has brought me community with cherished friendships and fulfilling opportunities for studentship and inquiry. Practice has been my path to retain health, vitality, life balance, and the courage to be out in the world as I am, especially now, on the cusp of a new stage of life. In my 30’s yoga asana were fun and challenging; yoga studies, new philosophical territory that I only skimmed. Today, my practice is essential to feel good, really good, physically and emotionally. I still love the big poses and rigorous practice. With time the physicality of the practice will change but this isn’t daunting as I am confident other aspects of yoga will offer sustenance. That may already be happening; recently my interest in yoga history and philosophy bloomed so vigorously that I returned to graduate school to pursue this quest. There remains a vastness to explore in my personal practice and to learn from more senior teachers. Perhaps really fine yoga teachers must be advanced in age (or wise beyond their years) because there is so much practice, reading, experience necessary to really know our subject. In this, there is no substitute for time. Elder yoga role models show me the way into my next decades. Indra Devi (1899-2001) and Vanda Scaravelli (1908-1999) are my icons as pioneering women teachers who moved into their 90s with indefatigable energy, wisdom, and presence. Dona Holleman, 70, helped me find courage in a difficult time and through her example, I realized that it is OK to be a fierce female teacher. Chad Hamrin, 62, demonstrates the wellspring a strong, inquiring practice brings to keep pedagogy fresh. Chad’s 36 years honing his teacher’s eye in Los Angeles inspire me to keep observing ever more deeply. Alice Rocky, 76, teaching yoga at the college of Marin for 32 years with no intention of retiring, offers an example of longevity in personal practice and career. Jaki Nett, 67, the most senior African American Iyengar yoga teacher in the world, offers great inspiration in living a fully integrated yoga life. Every community has seasoned yogis in their midst; don’t miss the opportunities to study with them, and mine the formidable knowledge and inspiration you will find there.